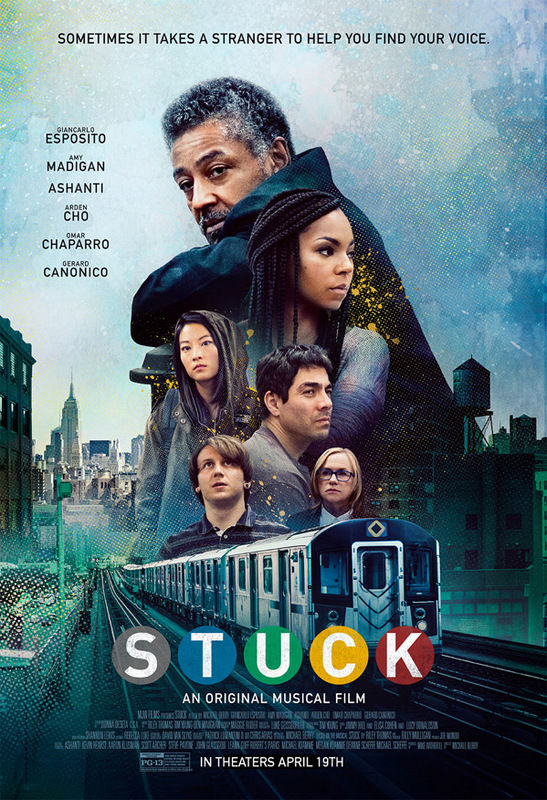 "We're just trying to get to where we're going…" Eammon Films has debuted an official trailer for an indie musical film titled Stuck, which originally premiered at a few smaller film festivals back in 2017. Based on a play by Riley Thomas, the film is about six strangers who get stuck on a New York City subway together and change each others lives in unexpected ways. This is definitely a theater concept, but adapted for the big screen and brought to life with a few vibrant and uplifting performances. This looks charming and inspiring, in all the ways Broadway can be. Starring Giancarlo Esposito (seriously singing his heart out), plus Amy Madigan, Ashtanti, Omar Chaparro, Arden Cho, & Gerard Canonico. Don't know why it has taken almost two years for this to be released, it's looks wonderful. Who doesn't love a good musical? Check it out. An original pop musical film about six commuters who get stuck together on a New York City subway. Through the power of music, they learn about each other’s lives and, in turn, have a profound effect on one another. Connecting across lines of race, culture and class in a way that only situations of circumstance or happenstance can create, this will be a day that none of them will ever forget. Stuck is written and directed by American actor / filmmaker Michael Berry, his second feature film after making Frontera, as well as a few short films and other Broadway work. Based on the musical play by Riley Thomas. This first premiered at the Newport Beach Film Festival in 2017, and also played at the Raindance and Woodstock Film Festivals. Eammon Films will release Berry's Stuck in select US theaters starting on April 19th this spring. Who's in?